Southern nearly took a step backwards in its hopes to win a SWAC title with a tight one against Prairie View. Baton Rouge, La. 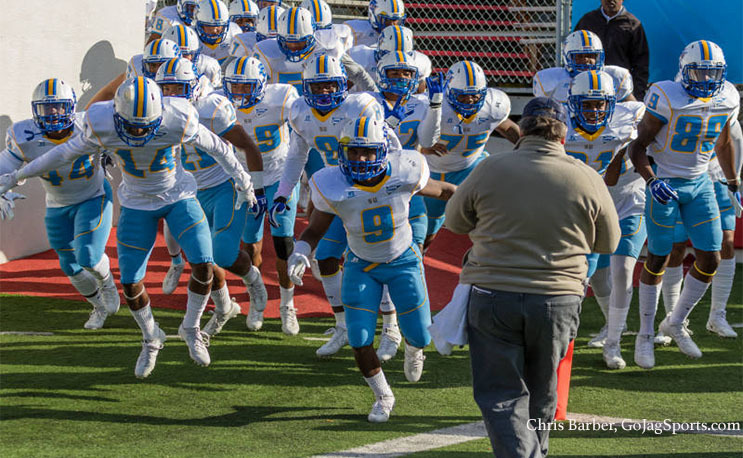 – Southern University’s SWAC title hopes nearly took a big blow at home. SU managed to pull out a 37-31 win over Prairie View at home to keep it within striking distance of Grambling as the Bayou Classic looms in a few weeks. Neiko Hollins passed for 242 yards and three touchdowns, two to Darius Floyd and one to Khadarel Hodge. Sta’Fon McCray rushed for 138 yards and one touchdown for the Panthers (3-5, 2-3). Trailing by what would become the final margin, Reggie Stubblefield forced a Southern fumble at the Panther 10-yard line, which was recovered and returned by Jalyn Williams to the PVAMU 17 with 1:36 remaining. Prairie View A&M gained one first down before turning the ball over on downs with 33 seconds remaining. Since 2009, the teams have played five times in Baton Rouge, with the games being decided by a total of 19 points. The contest saw four lead changes and two ties. After Southern scored first less than two minutes into the game, the Panthers tied the score two minutes later. Following a Jaylen Harris interception and 29-yard return, a three-play, 34-yard drive ended with a 17-yard scoring pass from Hollins to Floyd to tie the game at 7-7. After the Jaguars (6-3, 4-1) regained the lead in the second quarter on a field goal, the Panthers took the lead for the first time on the ensuing drive. A 14-play, 71-yard drive ended with a 12-yard scoring pass from Hollins to Hodge to put PVAMU ahead 14-10 with just over eight minutes to play until halftime. After Southern scored prior to halftime to take a 17-14 lead, the Panthers scored quickly on the opening drive of the third quarter. A four-play, 65-yard possession ended with McCray’s eight-yard scoring run to put the Prairie View back in front 21-17 less a minute into the second half. A Zach Elder 24-yard field goal extended the lead to 24-17 with 8:20 to play in the third quarter. Southern scored the game’s next 20 points to take s 37-24 lead with just over seven minutes remaining before Hollins led another touchdown drive. The nine-play, 73-yard possession ended with a 15-yard scoring pass from Hollins to Floyd with just four minutes remaining. Hodge caught six passes for 81 yards and a touchdown, and Floyd caught five passes for 76 yards and two touchdowns. Jalan Coleman led the Panthers with 10 tackles. Stubblefield and Harris each had interceptions for PVAMU.